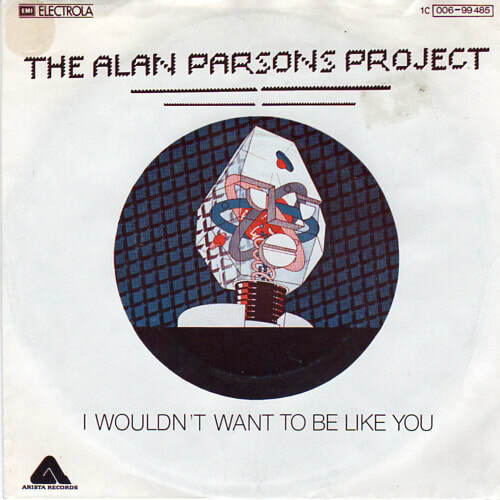 An electric guitar lesson on how to play "I wouldn't Want To Be Like You" by The Alan Parsons Project from their 1977 album I Robot. I remember when I first heard this tune thinking what a great singer that guy was (Lenny Zakatek) and also what a fantastic guitar solo! In this lesson I go over the rhythm part, which is really just a minor blues based progression with a funky feel and also the solo. The solo is only around 30 seconds long but it's one of the more recognizable ever. It was played by a guy called Ian Bairnson who actually wound up playing on most of Alan Parson's records. It's in the C minor pentatonic scale with the second or ninth thrown in a couple of times but it's the great phrasing and feel that make it so good IMHO plus it has one of the best ending licks ever!